While nobody is perfect, there are countless bad habits that many drivers are guilty of exhibiting behind the wheel. If any of these apply to you, it may be time to reassess your driving and make a conscious effort to break some of these bad habits before you cause an accident. Distracted driving is the single leading cause of motor vehicle accidents nation-wide. And while most people think of cell phone use when they think of distracted driving, there are many other activities that can create distractions behind the wheel. Some of these include eating, listening to music, or even trying to apply makeup while driving. Speeding is another common contributor to motor vehicle accidents; so if you have a lead foot, now is the time to ease off the accelerator. Aside from making a more concentrated effort to obey posted speed limit signs, it's also important that you learn to adjust your speed in accordance with road conditions. For example, if roads are slick from rain or snow, it's always a good idea to slow down. The same goes with driving through a construction zone or any other roads with obstructions, heavy traffic, or other non-ideal conditions. Aggression behind the wheel makes you more prone to making dangerous maneuvers (such as cutting another driver off or even speeding) that can cause accidents. Furthermore, road rage can lead to violence on the road, as you never know who you might anger with your actions and what they may be capable of. If you're guilty of having road rage, try practicing controlled breathing exercises that will help you keep your cool when things get heated behind the wheel. Signaling your intentions as a driver is a great way to avoid accidents. All too often, drivers will fail to use their turn signals, especially when changing lanes. It takes only a second to engage your turn signal, and doing so could save lives, not to mention keeping you from getting pulled over! Even if you're sure that there's nobody behind or to either side of you when you're about to turn or change lanes, it's good to get into the habit of using your signal no matter what. Remember that all motorists have an equal right to share the road. Having a superiority complex over others on the road, such as motorcyclists or even bikers and pedestrians, is not a safe attitude to have, and could lead you to make decisions that put your safety (and the safety of others) at risk. Keep in mind that all motorists and pedestrians have rights and laws that they should be following to maintain safe roadways for everybody. While you can take steps to avoid exhibiting any of these dangerous behaviors behind the wheel, there is unfortunately nothing you can do to change the habits of other drivers. With this in mind, if you have been injured as a result of a negligent driver, you may want to consider setting up a consultation with an experienced attorney. 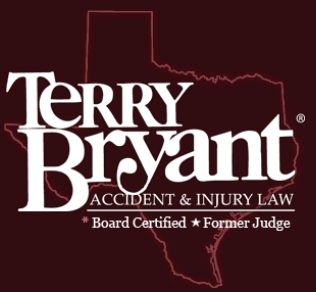 From there, you can begin the process of pursuing a personal injury claim to recover the costs associated with your injury and have all the help you need from a legal professional along the way.